Today it’s Thea’s turn to review, and she takes a look at a new graphic novel from Image Comics. 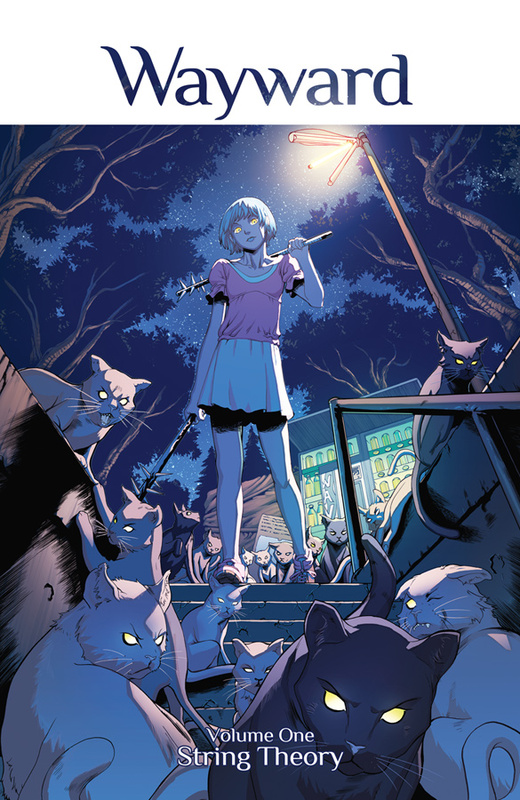 Wayward: String Theory (Vol 1) by Jim Zub with art by Steven Cummings is billed as “Buffy in Japan” and the next Saga – naturally, Thea had to read it. What she found is that while those descriptors aren’t quite right (or even very appealing), Wayward is pretty freaking awesome. Go forth here to read the full review.